As rangers at the second European bison reintroduction site in the Southern Carpathians rewilding area, the efforts of Marius Gârdean and Roland Hauptman are vital to the success of the project. On the occasion of World Ranger Day, we caught up with them to thank them for their ongoing support, and to learn more about their lives and work. 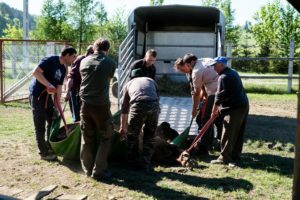 Unloading the Romanian bison – first national translocation. In May this year Rewilding Europe and WWF Romania successfully reintroduced an initial herd of 14 European bison in the Poiana Ruscă Mountains in the Romanian region of Banat. This release site represents the second in the Southern Carpathians rewilding area, following the first in the Țarcu Mountains, near the town of Armeniș, where four bison releases have now taken place since 2014 (and since 2016 as part of the European Commission-funded LIFE Bison Project). The groundbreaking Poiana Ruscă release finally gave Marius Gârdean and Roland Hauptman (Roli), the two local bison rangers assigned to the area, the chance to grow fully into their pivotal role. The bison journey started in the Bison Valley Nature Reserve and was the very first translocation within Romania itself. 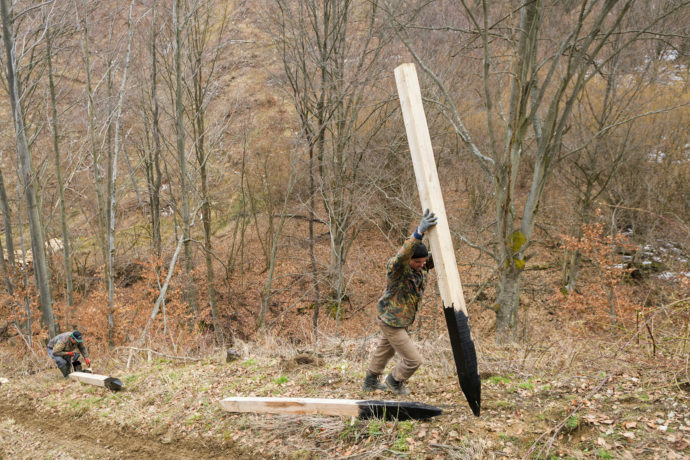 Prior to the Poiana Ruscă Mountains bison release, Marius and Roli had spent two years helping Matei Miculescu and Daniel (Danu) Hurduzeu, the two rangers working at the first reintroduction site, and laying the groundwork in their own area. Their grassroots efforts are vital to the success of the project, and we are deeply grateful for their hard work, patience and constant enthusiasm. In the case of Marius, this support has even extended to the generous donation of 50 hectares of his own land. 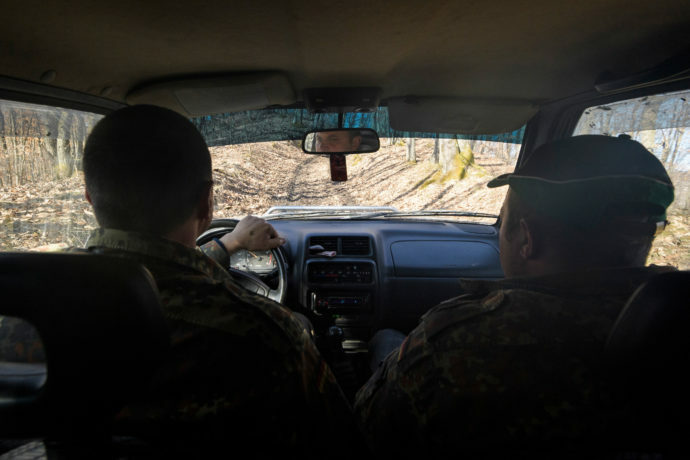 In addition to performing their daily ranger duties, Marius and Roli are extremely active in their local area through the DEMSUȘ Association of Forest and Pasture Owners, of which Marius is founder and president, and Roli an industrious member. Both men are rightly proud of the achievements of this organisation, which exemplifies what can be achieved by grassroots mobilisation in the name of a common goal. 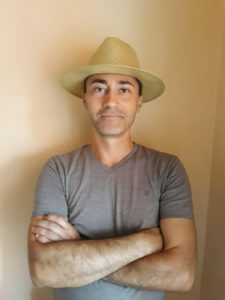 According to Marius, their aim is to “ensure common management of local forests, forested pastures, hay meadows and other types of private land by taking action and by facilitating access to private and public resources”. Marius, Roli and other association members are working to legalise collaboration between landowners and public or private entities that wish to carry out activities on private land, as well as the conservation of biodiversity and the development of long-term management plans. Hardworking and conscientious, with a profound understanding of and passionate attachment to their local environment and its wild nature, Marius and Roli are truly committed to rewilding. On the occasion of International Ranger Day (July 31), we caught up with them to learn a little more about their lives and work, and what it means to be a Romanian bison ranger. When did you start working as a bison ranger, and why did you apply for the position? Marius: I have been a ranger since January 2016. As a lover of wild nature and the local environment it was a pretty straightforward decision for me to take up this role. Roli: I started about two years ago. Marius presented me with this opportunity, as I was a member of the Demsuș Association, where I had taken part in many activities. Before that I had worked in Germany for a decade, in the forestry sector, during which time I gradually came to understand Romania’s great potential with regard to wildlife and need for conservation. I was really glad to be able to help through this project. M: No two days are the same, obviously, but most of our work is based in the field. My focus is fulfilling all the responsibilities that come with reintroducing an iconic species, the European bison,into the wilderness. I regularly check on the animals’ health, both in the field and through our online monitoring platforms. I carry out patrols in and around the different enclosures used in the acclimatisation process. I flag up illegal activities found on my patrols to the relevant authorities, so they can take action against them. I am also involved in the promotion of our initiative in the implementation area – for example at different meetings with local communities. I collect data from the field and send it over to the wider project team. I also participate in the transport and release of bison, and in the sourcing of extra food for the bison in the winter season, when they need a supplement to what they can find in nature. So a pretty diverse range of jobs! What would you say are the main things that you’ve learned since starting work as a ranger? M: I have learned to work very closely with the bison and become closely connected with their environment. The Poiana Ruscă Mountains boast a very diverse environment – the open glades, forested hills and rocky valleys are all places where bison used to live and to where they have now finally returned. My relationship with this environment goes back to my childhood, when I spent time with my great-grandfathers and grandfathers; it was then that I took up animal husbandry and farming. And this is where my love of nature and animals comes from. When I started working as a ranger, my sense of responsibility toward nature, and especially for bison, grew even more profound. R: I’ve learned that nature needs us as much as we need nature. Growing up in the country and then working abroad, in the forest, taught me a lot about society, and the need to value and conserve nature as much as possible. Can you tell us what your most rewarding and challenging moments have been since joining the bison reintroduction initiative? M: The most special moment would have to be the reintroduction of the first animal in the enclosure here, in Poieni, this year. Luckily I haven’t experienced any truly difficult moments yet, but I’m sure they will come. R: Difficult moments can come at any time, but we need to overcome them all. What do you like most about bison, or what fascinates you about them? M: I like this species because of its importance in nature and its long history in Romania. This is an animal that can really enrich local fauna and flora through its existence in an ecosystem. R: They embody power and resilience, which gives us faith that this reintroduction endeavour will be successful. Can you tell us an interesting thing about Densuș, your home? M: People should know about our long history of animal husbandry and nature protection. I am happy to have followed in our ancestors’ footsteps, and by my actions to be ensuring a similar way of life for future generations. R: Marius and I invite you to our area to discover the wonderful things we have to offer in real life!